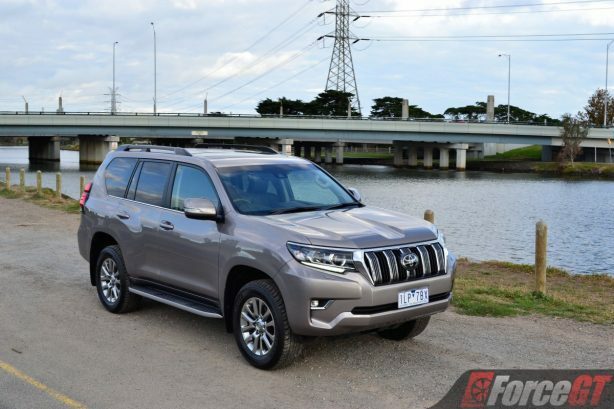 It’s hard to tell the fourth-generation Toyota LandCruiser Prado has been on sale for eight years. This latest iteration, extensively updated in 2018, still looks as fresh as ever. 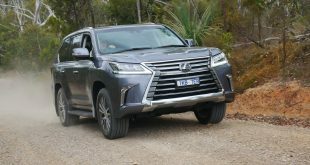 It is the second major facelift since its launch in 2010 and it is incremental improvements like this that keep sending the Prado to the top of the sales charts in the large SUV segment, year after year. 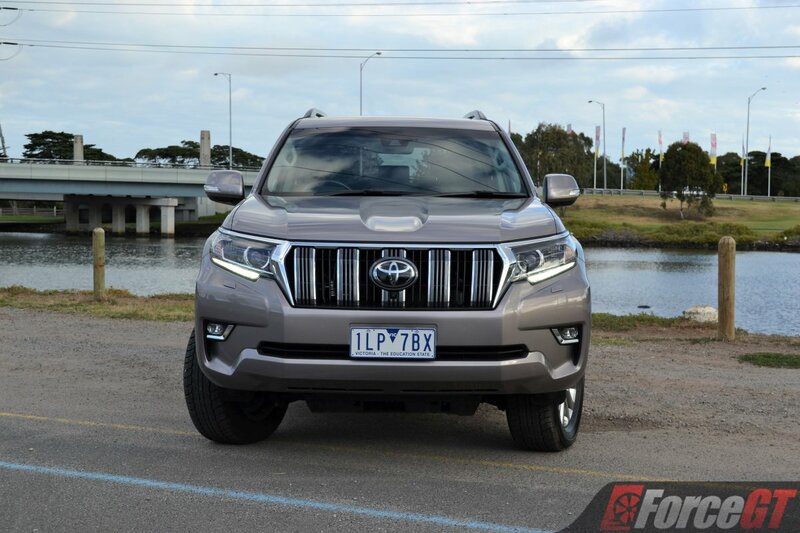 This Big Daddy (Grand Daddy being its LandCruiser Series 200 big brother) is still one of the most iconic 4×4’s on Australian roads – and off roads – today, and this latest round of nip and tuck further reinforces its stature. For 2018, Toyota has refreshed the styling inside and out while adding advanced active-safety technology to entry-level GX and mid-spec GXL automatic models, and increasing value for money across the board. 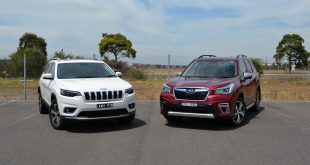 Australian retail price has been slashed by up to $1200 across the four-tier Prado line-up, kicking off with the $53,490 plus on-road costs GX manual, a reduction of $600. 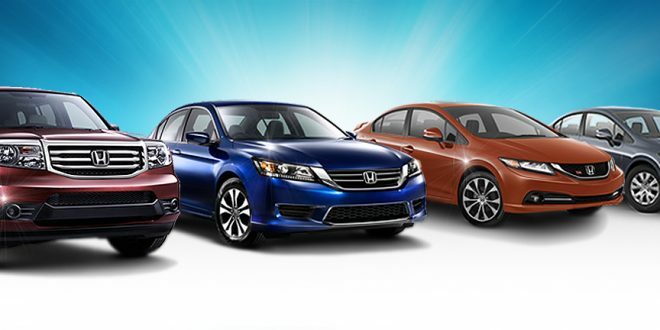 Moving up, the mid-spec GXL manual and VX auto are priced from $59,990 (-$1200) and $73,990 (-$911) respectively. 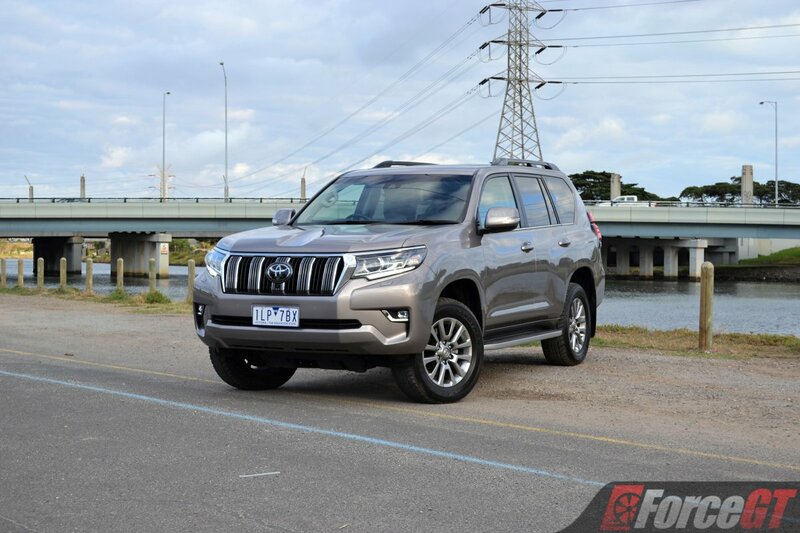 The Kakadu auto sits at the top of the range with a sticker of $84,490, a drop of -$1,121. 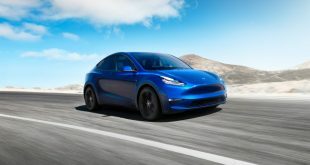 Also available are new 5 and optional 7-seat GX automatic models, both of which have receive specification upgrades for a $400 increase and can be had from $56,490 plus ORCs. 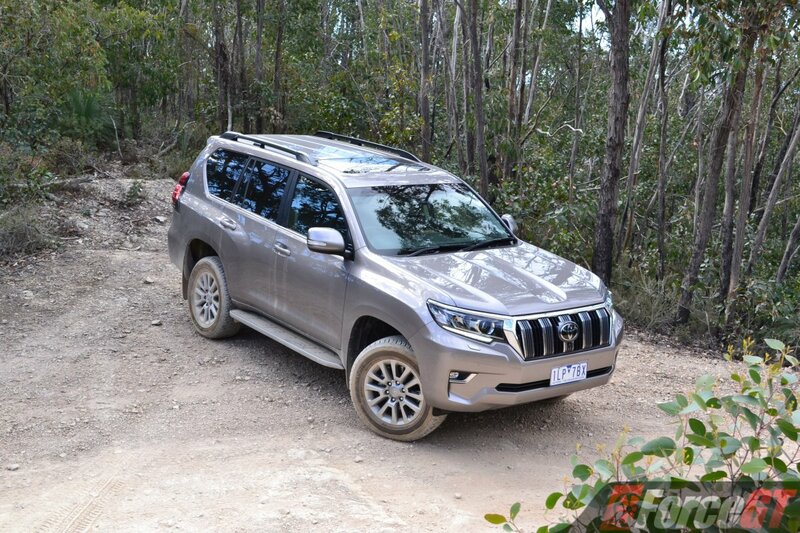 Styling updates to the 2018 LandCruiser Prado have been heavily influenced by the larger LandCruiser 200, which has also been updated as recently as 2016. 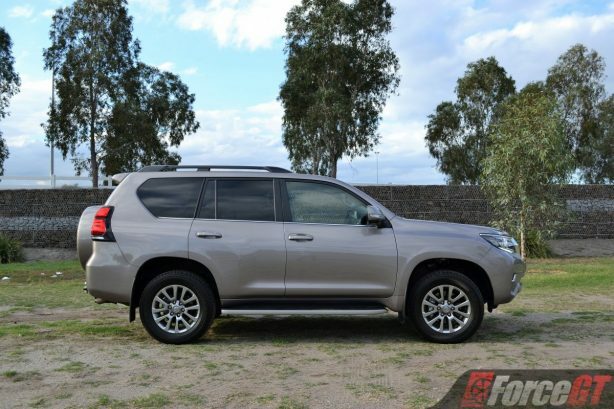 Like its bigger sibling, the new Prado’s freshened exterior now features a bonnet sculpted in the centre to enhance downward visibility with fenders that have been re-profiled to help drivers more easily locate the vehicle extremities. The revised front grille gains a more premium appearance with broad vertical bars featuring slit-shaped cooling openings finished in chrome. 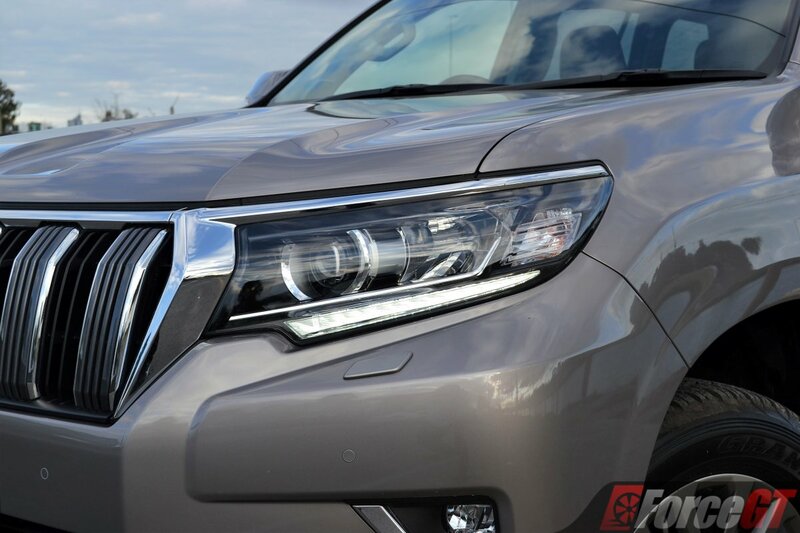 The new grille is flanked by restyled headlamps with main beams positioned inboard to avoid damage from obstacles during off-road driving. Elsewhere, lower corners on the new front and rear bumpers kick upwards to enhance off-road manoeuvrability. 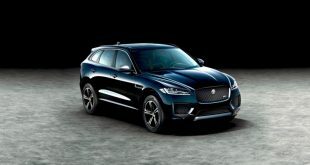 Adding to its more upmarket look, the redesigned rear includes new lamp clusters with black surrounds and a smaller rear garnish plate incorporated within the number-plate surround. 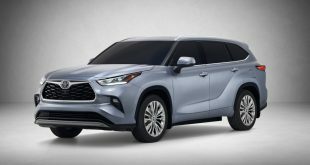 Rounding up the exterior tweaks are new design and more stylish 18-inch wheels for the upper-spec VX and Kakadu models. 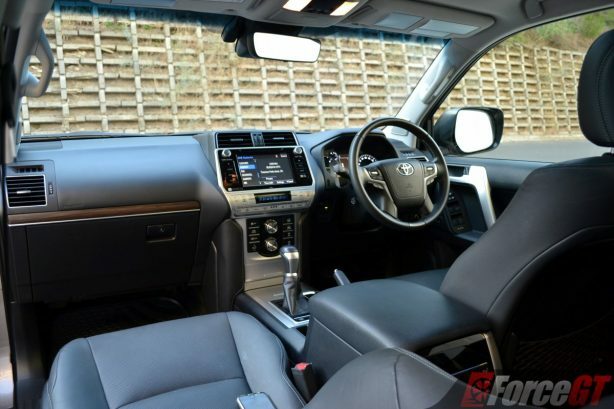 The Prado’s more upscale design continues into the interior, with the dashboard, instrument binnacle and switchgear given an upmarket makeover. 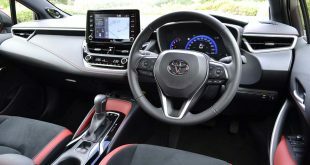 The revised centre console, which incorporates a flush-surface air-conditioning control panel, has a lower profile at the top for a sleeker appearance and improved forward visibility. The whole dashboard design and centre console layout are now less fussy, matched by a new steering wheel (stolen from the Series 200) that is much easier on the eye than the old truck-like tiller and a more modern instrument cluster. 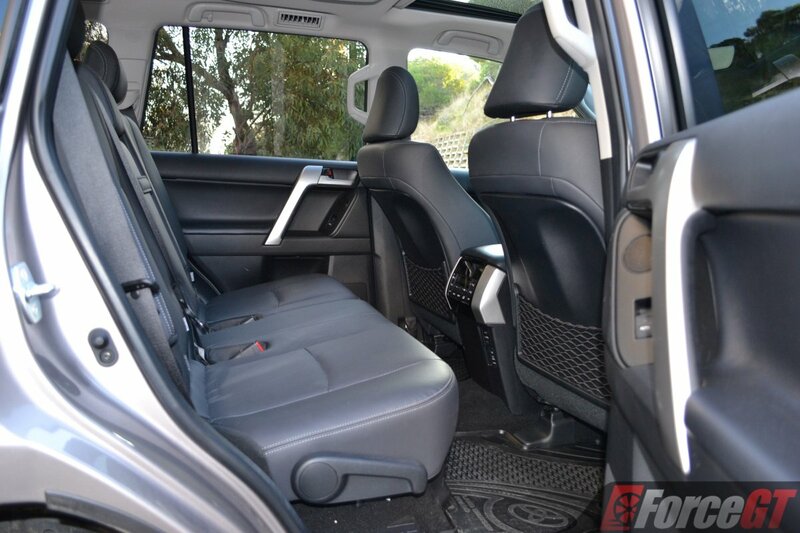 In the top-spec Kakadu we tested here, the leather upholstered interior is actually quite a nice place to be in, with a plethora of high quality aluminium inserts and wood trim nestled within vast soft-touch surfaces. It’s no Land Rover luxurious but it does feel very plush. More impressive, perhaps, is the interior build quality. 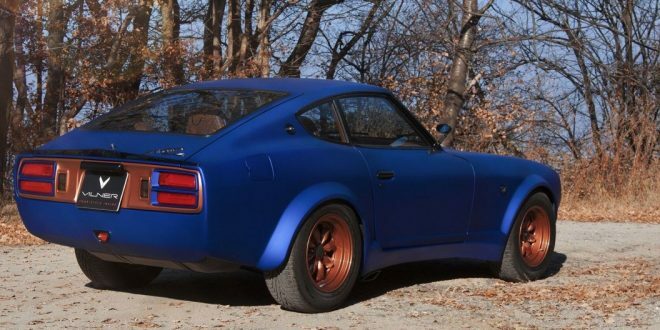 It is second to none, with minuscule panel gaps and near perfect alignment throughout. Every thing feels very heavy duty and robust, like they will last a few decades. This is after all, a Toyota. The 8.0-inch infotainment system is an inch larger than before and that’s about all the improvement it received. It’s not the most intuitive system we have used, with cumbersome button layout and slow processing. Apple CarPlay and Andriod Auto connectivity is also, sadly, not yet supported. 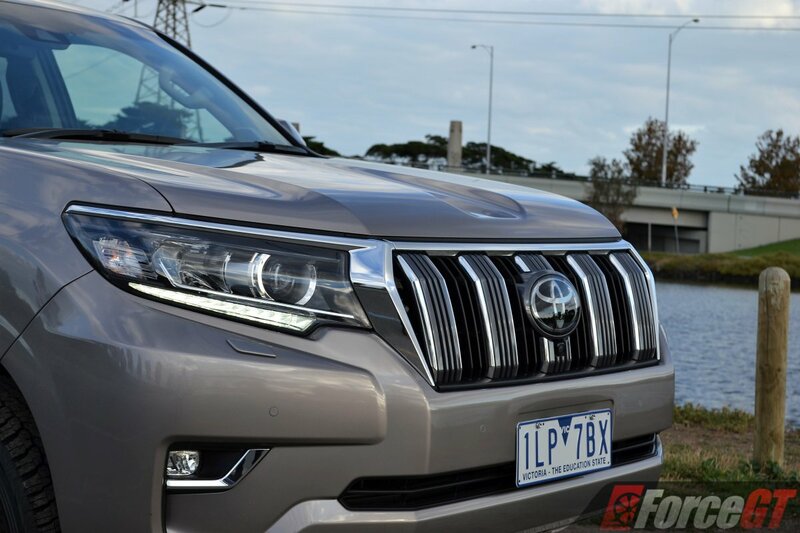 There is more bad news for digitally connected families, as the Prado only has one USB port, even in the top-spec Kakadu. 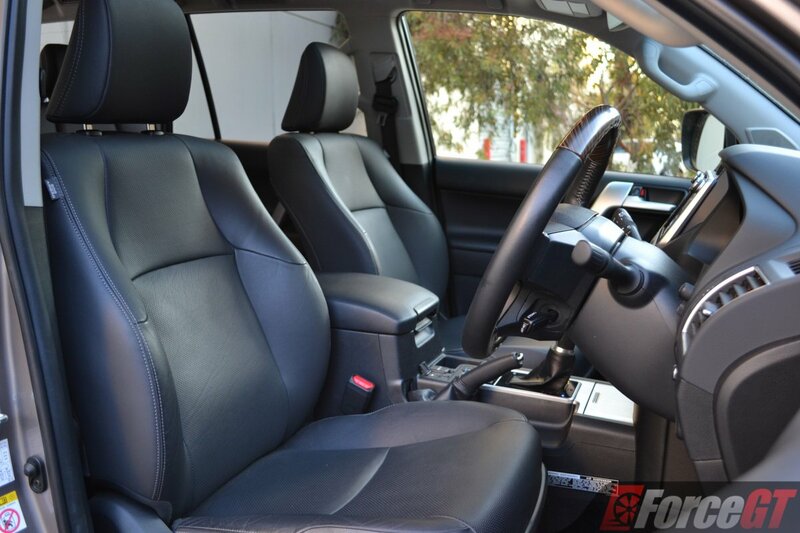 As a family SUV designed for long distance travel or remote adventure, this is a major oversight. The built-in DVD/Blu-Ray player and drop-down LCD screen for the second row seats are nice but it’s all about BYO device for the kids, these days. The Prado is a big car and its interior space is just huge. There is plenty of room for front and middle row occupants, with the third row suitably spacious for small children. If you use the Prado as a people mover, however, adults seated in the last row will have to bend their knees to fit in and endure with the tiny foot room. 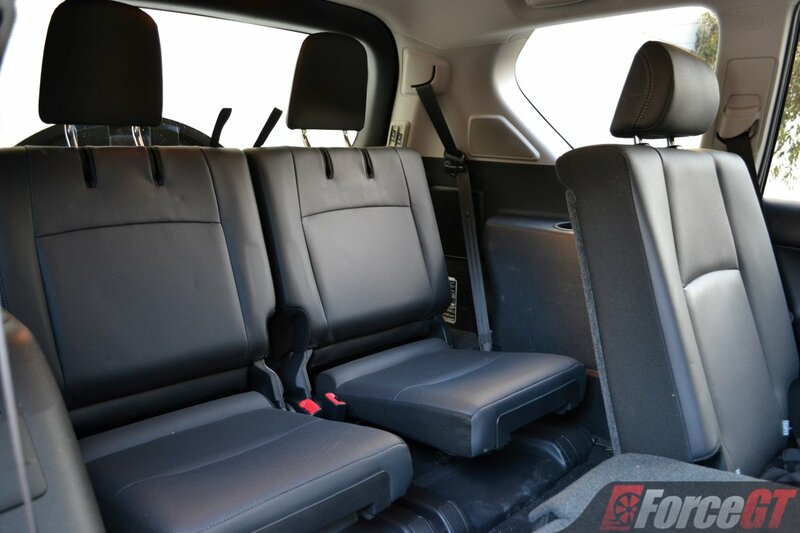 Storage compartments and cup holders are plenty throughout the cabin. The higher spec models even have a built-in cooler box in the centre console under the arm rest to keep your drinks chilled on long trips. There’s also the ceiling-mounted air con vents in the second and third row to keep those seated in the back happy. 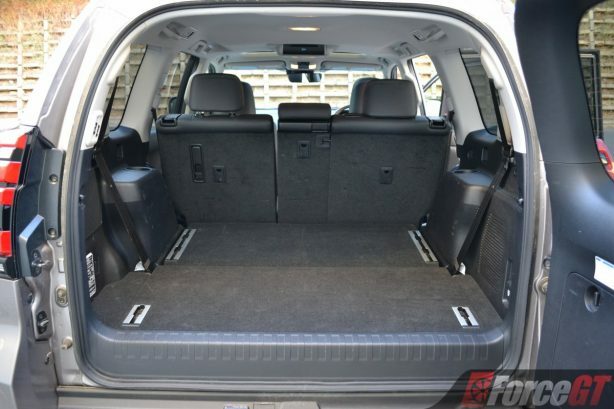 At 120 litres, cargo space with the third row seats up isn’t much, but drop the seats and the space expands to 480 litres. 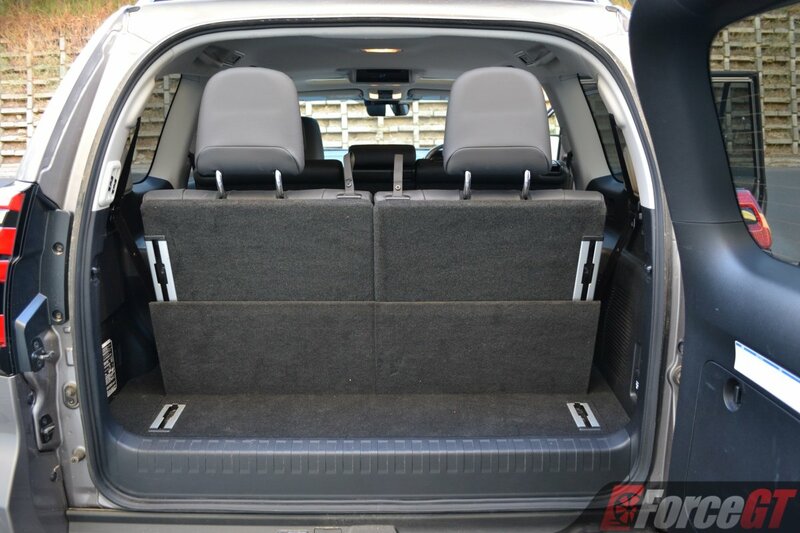 The boot floor is flat and loading is made easy with a lower step in the rear bumper. 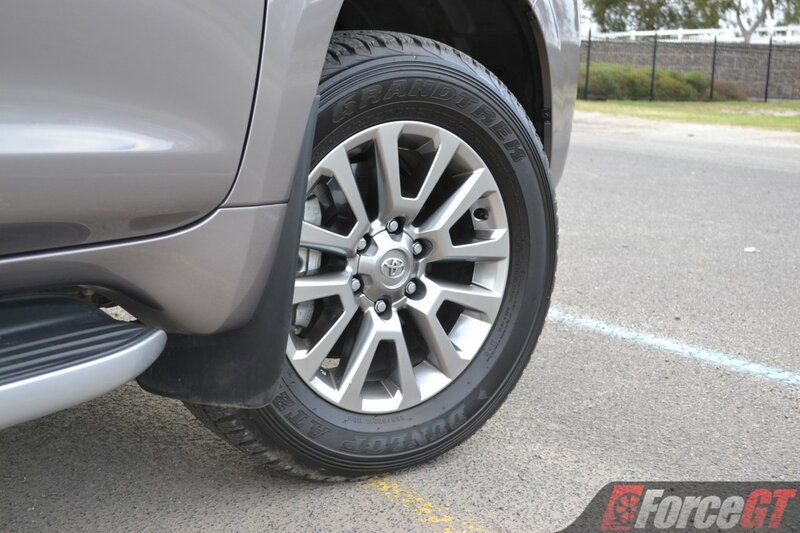 However, the hefty spare wheel remains mounted on the side-hinged tailgate, making opening and closing a chore. Powering the entire Prado range is Toyota’s trusted 2.8-litre turbo diesel engine, the same motor found in the HiLux and Fortuner. 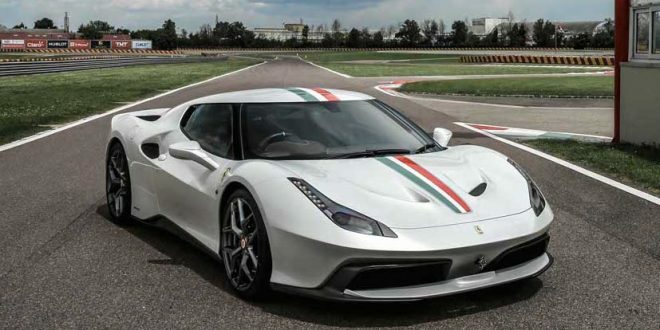 It produces 130kW at 3400rpm and peak torque of 450Nm at 1600-2400rpm (auto) or 420Nm (manual). 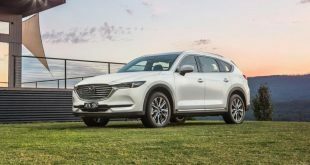 The 4.0-litre V6 petrol that generates 202kW of power and 380Nm of torque has been dropped from the line-up due to overwhelming consumer preference for the turbo-diesel engine (98.8% of sales). 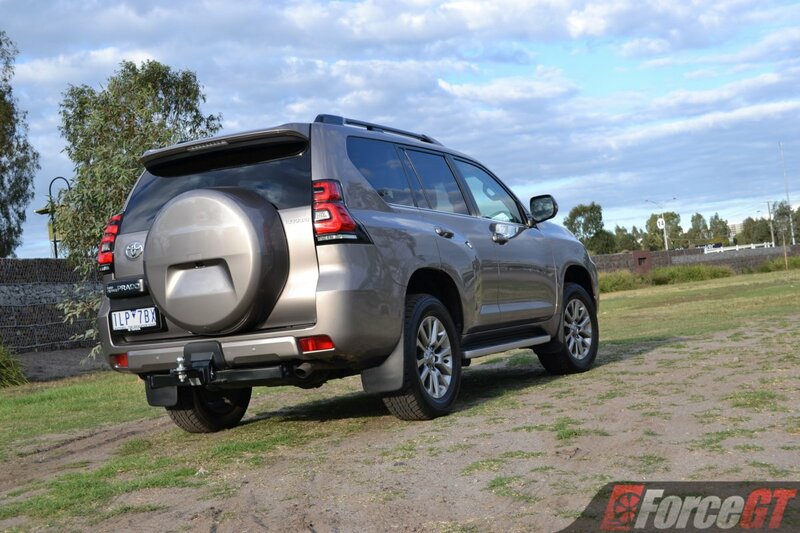 Moving a behemoth 2.5-tonne of metal and rubber that is the Prado can take a toll on the turbo diesel’s 450Nm of torque, which seems huge on paper but is actually just adequate out on the open road. Acceleration is gradual rather than forceful so you will need to time your overtaking right. 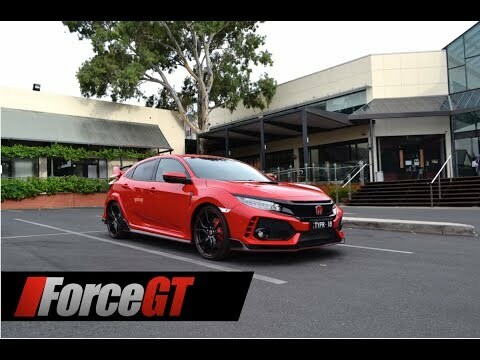 The six-speed auto shifts smoothly and tends to rush to and stay at the highest possible gear in order to conserve fuel, which is fine but at around 80km/h there’s tendency to hunt between fifth and sixth at the slightest load variation. 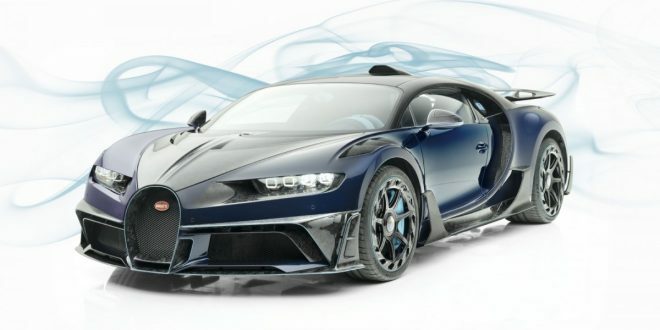 An eight speeder would be a better match, which should also improve fuel use and acceleration. 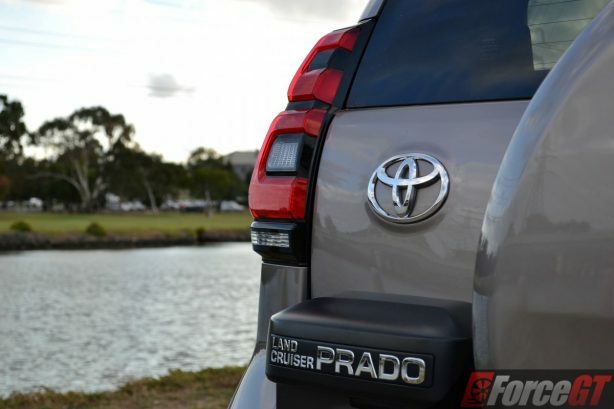 Like most of Toyota’s off roaders, the LandCruiser Prado has received local ride and handling tuning for its suspension, stability and traction control systems and off-road controls. 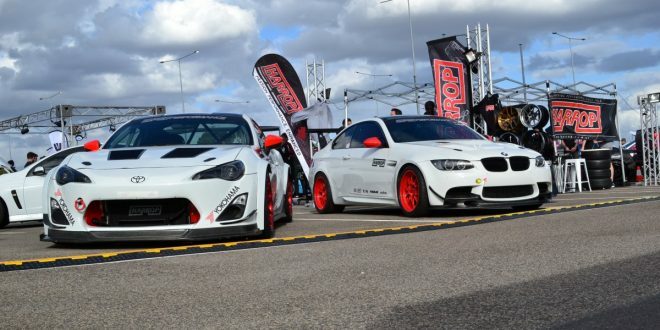 The car underwent approximately 450,000km of local testing to ensure it meets the demands of Australians customers. 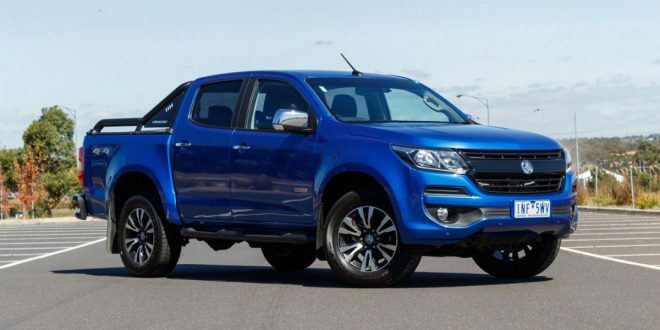 The Kakadu (and VX) gets an improved version of the Australian-developed Kinetic Dynamic Suspension System (KDSS), featuring increased front-cylinder rod diameter and rear-cylinder piston diameter. The range-topper also gets the added benefit of front and rear Adaptive Variable Suspension, and height-adjustable rear air suspension. The result of all that is a car-like ride quality on the road, with excellent suppression of breaks in the road surface. 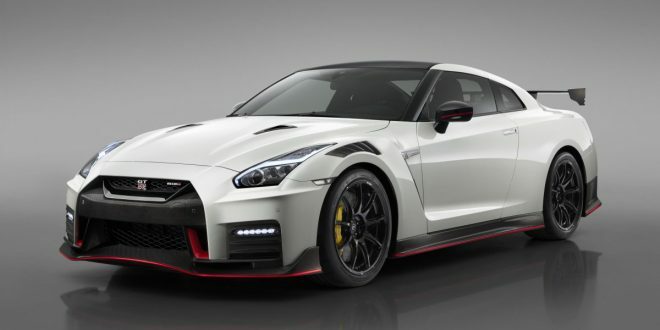 At cruising speed, it’s relatively quiet, too, with good road and wind noise insulation. Being a tall, high riding SUV, handling is certain to take a hit and it isn’t unexpected. It’s a large car and you feel it around the bends. That said, the Prado still offers great assurance with remarkable body control and eager turn in. Off the beaten track is where the Prado truly comes into its own. With banks of 4WD chassis and electronic aids – Crawl Control with optimisation for different surfaces (Kakadu only), Downhill Assist Control, Hill-Start and Hill-Descent Assist, lockable centre and rear differential, full time 4WD with high/low range, the Prado packs tremendous off road ability. Crawl Control is particularly effective on tough tracks. 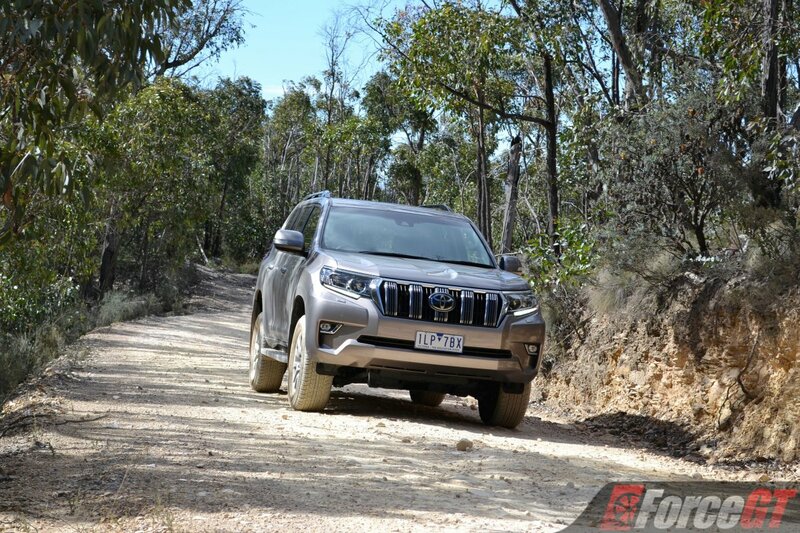 Set it to suit the surface underneath, pick a suitable crawl speed and the Prado will simply traverse the terrain like a walk in the park. No dramas. Keeping you in touch with the situation, the Multi-Terrain Monitor on VX and Kakadu allows the driver to get a close look at the conditions right around the vehicle. 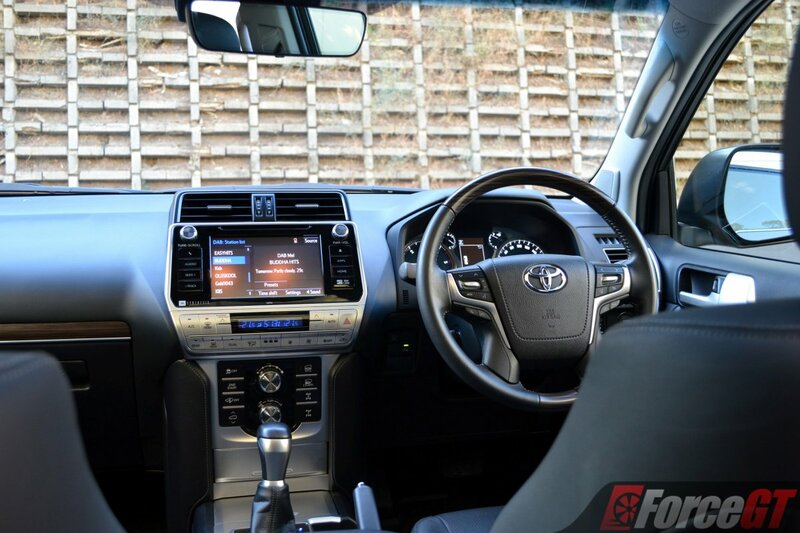 The in-car touchscreen can display the front and side views around the Prado using wide-angle cameras to provide added confidence with the placement of wheels, both when moving forward and reversing. This is one seriously capable adventure vehicle and to top that, the Prado is equipped with a 150-litre fuel tank. Yes, this thing can get you into the bush, across the bush land, and back out into civilisation without the need to refuel. On the safety front, advanced safety features – now standard on all Prado auto models – are pre-collision safety system (PCS) with autonomous emergency braking and pedestrian detection, active cruise control (ACC), lane departure alert and auto high beam. PCS and ACC were previously exclusive to high-grade VX and Kakadu. 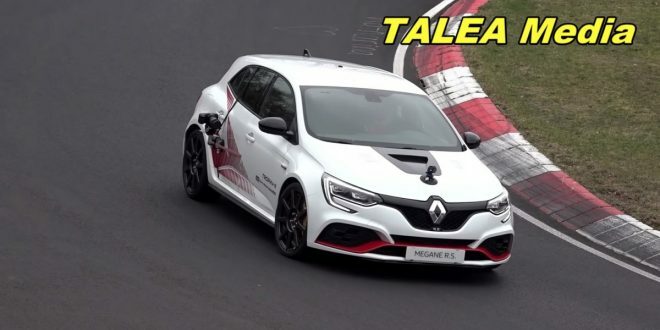 Towing capacity for all automatic models has been increased by 500kg to 3000kg and a rear differential lock has been added to auto GXL and VX grades. There is no change to the car’s tight 11.6 metres turning circle but approach, departure and ramp-over angles have dropped slightly to 30.4o (from 32o), 23.5o (from 25o) and 21.1o (from 22o). 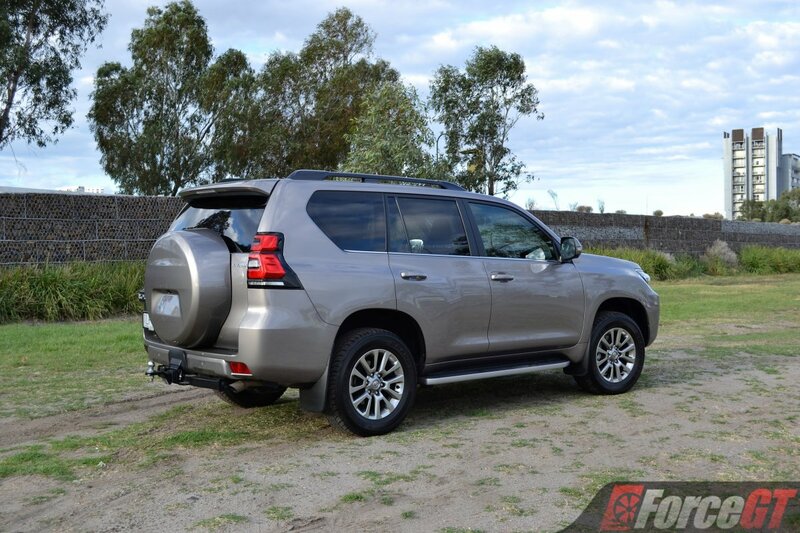 A reliable workhorse, a highly capable adventure vehicle, a stylish family SUV, the Toyota LandCruiser Prado can’t get any more versatile than that. 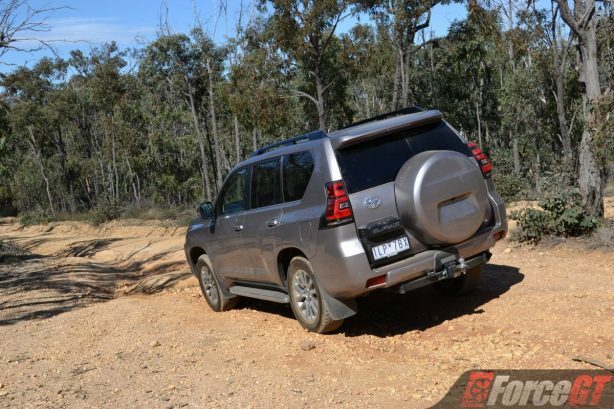 It might be eight years old but continuous improvement, such as this latest update, ensured it is still the one to get for lovers of large go-anywhere SUV. It has been a long time Aussie favourite and it will continue to be for many, many more years to come.